The director of a children's mental health clinic says counsellors are seeing more children expressing suicidal thoughts and tendencies after watching a Netflix series about suicide. From standing on a bridge and thinking about death to writing a note about the reasons to die, more and more children are showing signs they've been influenced by a popular Netflix television show about suicide, a Toronto counsellor has told CBC Toronto. Leticia Gracia, director of the community clinic at the George Hull Centre for Children and Families, says since 13 Reasons Why, a show about a teenage girl who commits suicide, started she and her colleagues have noted an increase in cases of children and youth thinking and talking about suicide after watching the show. She says her clinic has seen "kids coming in who had previously been stable and then experiencing increased symptomatology," and she says she's so concerned about the situation she has sent a letter to families warning of the threat the show poses to some of the children she sees. For example, a 12-year-old girl who had been secretly watching the show "was having trouble going to school. She was having panic attacks," Gracia told CBC Toronto. That girl, Gracia said, "made a suicide threat" that made it clear "the show had been a trigger for her." Listing themes of "self harm, loss, rejection, bullying had really made her start to feel terrible about herself and it made her think about doing something like this." CBC Toronto spoke with a parent concerned about outside influences on his child's precarious mental health. The 13-year-old girl and her family see counsellors at the George Hull Centre for her depression, which has included talk of suicide. Her father asked not to be identified to protect the girl from further distress. His daughter's mental health had been improving in the year they had been going to the George Hull centre but then she seemed "sadder" suddenly. 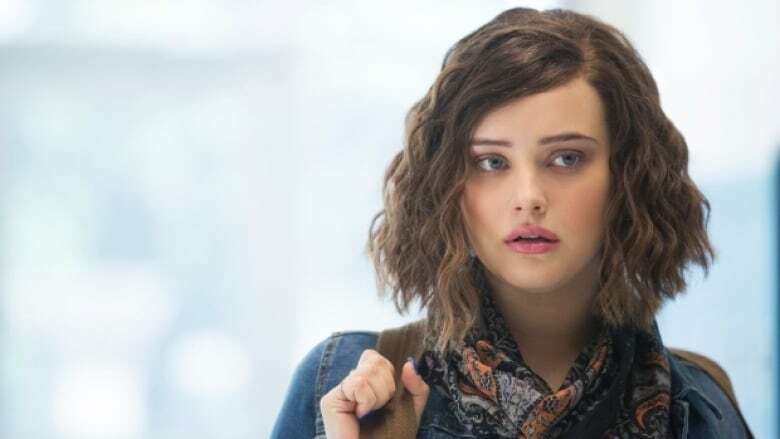 It was only after an incident in her Grade 7 class that her family and counsellors linked what her father called her "regression" to 13 Reasons Why. On the chalkboard he said she had written some lines similar to the show: "I am going to die. You're not going to miss me. You're not going to notice." Her school immediately called her father to get hospital care for the teen. Through that process he learned she had watched the show secretly on a website that had an age rating suggesting it was inappropriate for those under 18. The show "portrays the subject [as] very glamorous, like it's not real," he said. And while he wasn't sure it would affect other children, "for sure it's going to impact the minds of those kids who are facing depression and other issues." He hoped that by talking to CBC Toronto he might help other parents "be alert about this show," especially since Netflix will release a second season in the fall. Kimberly Moran, CEO of Children's Mental Health Ontario also wrote about watching the show with her teen daughter, who experiences anxiety and had been depressed and suicidal as a child. In a blog post, Moran wrote they were both "concerned that if someone had suicidal thoughts at one time, that watching it would be really, really hard and it might trigger some really concerning thoughts." Moran suggested that "kids struggling with mental health issues" avoid watching the show or that they watch it with support. Gracia's clinic sees about 480 children a year, with a waiting list of at least six months. Of those children, she said the majority have anxiety or depression and 10 per cent (or nearly 50 children) have suicidal thoughts, tendencies and self harm. For the first time in her more than 20 years as a social worker, Gracia recently sent an urgent warning to clients' families because of the "real and significant threat" the show posed "to some of the children we serve." 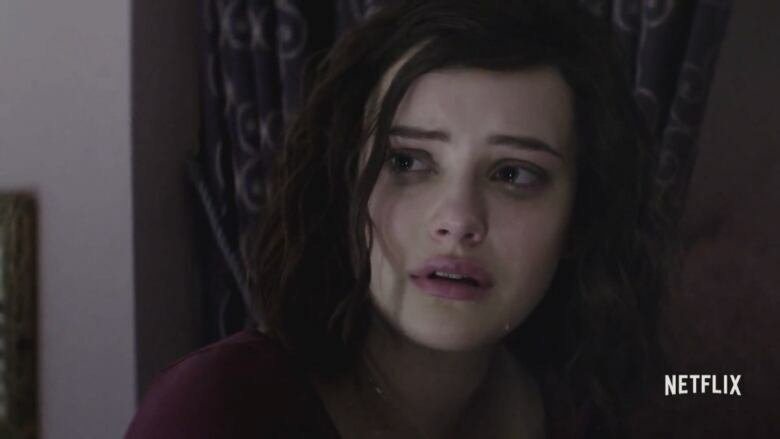 In the letter she described the Netflix series in which central character Hannah Baker, played by actress Katherine Langford, kills herself after a series of traumas in her life that she blames on others, leaving audio for her peers to hear. She called the series "graphic" with a message that "may be distorted into a false sense that suicide is a natural way of solving life's struggles." Gracia added another concern in her letter about "a dangerous online suicide game called the Blue Whale Game," which she wrote was "a factor in a Toronto youth's suicide attempt." The so-called game urges participants to take steps toward suicide over a certain period of time. Recently, a Massachusetts woman who sent her boyfriend a barrage of text messages encouraging him to kill himself was convicted of involuntary manslaughter. Gracia, who also has two 15-year-olds at home, said the show plays into a fantasy "that these kids who are suicidal often have that everyone will be sorry, 'they'll know how much pain they caused me,'" especially since the protagonist's tapes provide the show narration. "She's never really gone in the viewer's mind," Gracia said. Rosemary Chamberlain, who is in Grade 8 at Runnymede Public School, says she binge-watched the show over two nights because all her "friends were talking about it." Though she can't relate to having suicidal thoughts, she believed anyone who struggles with mental health will find it even more disturbing and "uncomfortable" than she did. "You can't unsee something like that," Chamberlain said. The 13-year-old said the show is a reminder "actions have consequences," especially "letting all of the people watching the show know that whatever you do, all of your actions towards other people mean something." Chamberlain can't wait for the show's second season and it's that continuing popularity that worries Gracia. "There's no real finality that's illustrated in the show. Suicide is final. It's the last option. Once you're dead you don't get to see people mourn you, you don't get to know what they felt about you and you don't get to feel their regret about how they treated you." Talk to children about the series, watch it together if your children are interested in it and discuss it. Seek support and look for warning signs like direct and indirect suicide threats; giving away prized possessions; a preoccupation with death and changes in behaviour. If there are warning signs, don't be afraid to ask children if someone is hurting them or if they've thought about suicide. If you have concerns see your family physician or a community mental health agency. An earlier version of this story quoted Leticia Gracia as saying that Kimberly Moran of Children's Mental Health Ontario wrote she had a child in treatment who tried to take her life after seeing the show. In fact, Moran wrote about watching the show with her teen daughter, who experiences anxiety and had been depressed and suicidal as a child. Stephanie Matteis is a senior reporter with CBC News, filing stories for television, radio & online. She's a pathological truthteller and storytelling junkie whose work appears on CBC Toronto, The National and Marketplace. Contact Stephanie: stephanie.matteis@cbc.ca and @CBCsteph on Twitter. 13 Reasons Why: Is it 'exposing the truth' or a 'primer' on teen suicide? Is the Netflix series showing the truth or glorifying teen suicide?